Looking for new ways to differentiate itself in the increasingly-crowded loyalty space, Belly is launching an omni-channel platform today that’s designed specifically for enterprise retailers. According to the company, BLUE by Belly will be considerably more flexible than Belly’s original loyalty rewards program for small businesses, giving retailers with large physical store footprints the opportunity to design more unified experiences across in-store, mobile, and online channels. Whereas Belly’s original loyalty solution for SMBs relied heavily on outside-the-box rewards and automated email marketing campaigns, BLUE appears to be a more buttoned-up option for enterprise retailers and selected brands. The company is touting BLUE’s flexibility compared to legacy solutions, along with an underlying infrastructure and an extensive set of APIs. These features will allow retailers to integrate their existing programs and applications with BLUE, without having to start from scratch. When Belly co-founder Logan LaHive spoke to Street Fight back in May, he discussed how the company’s existing enterprise solutions were providing brands with ways to reach customers at every touch point and spoke of the challenges that large enterprises face when making the choice to scale in engineering and build the tools they need themselves or partner with legacy technology firms. Now, the company is hoping that BLUE will be the answer to those challenges, with the ability to tailor the solution to each client through integrations and customized extensions built on top of the platform. Giving large retailers the ability to turn customer data into action is what Kiser believes will differentiate BLUE in the enterprise loyalty space. 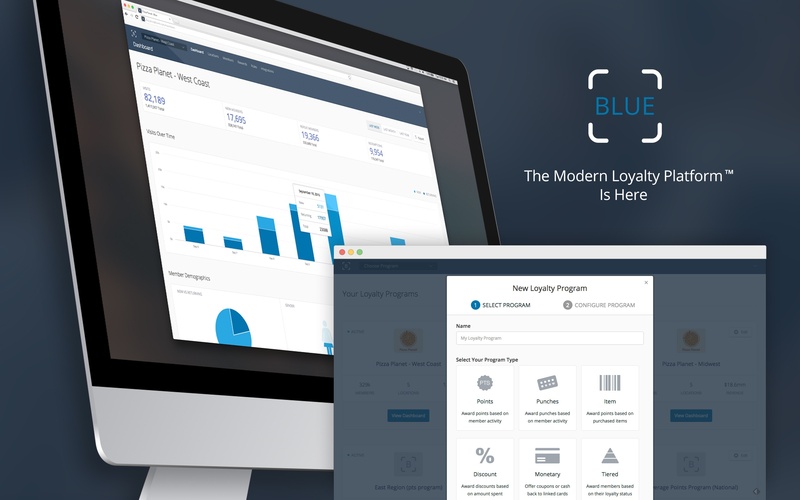 With the integrations that BLUE supports, retailers can collect basic profile data, including names, email addresses, phone numbers, and birthdays, along with purchase behavior, preferred communication channels, and the specific types of offers that have historically driven engagement with each customer. Businesses will also be able to use loyalty data to apply transactional and triggered rules, which aim to influence behavior at the customer, store, or market level. “Our clients are already collecting data about their customers and using it to create personas or understand behavioral trends. But that’s not enough to truly influence customer behavior,” Kiser says. In a real world setting, this might mean that a large coffee chain like Starbucks would be able to use its loyalty platform to see that Sam Smith visits every Monday and Wednesday afternoon, always orders tall-sized vanilla lattes, uses his iPhone 6 to check-in, and frequently redeems mobile coupons. The business could then use this information to send Sam offers via mobile to come in for breakfast on the weekend. If that doesn’t work, then they could push a coupon for venti-size vanilla lattes. The business doesn’t have to waste time sending email notifications, since Sam’s profile would show that he had never responded to an emailed offer. “If the goal of a loyalty program is to increase basket size, check size, frequency and drive positive ROI, then turning customer data into action through BLUE enables brands to reach these loyalty goals,” Kiser says. Parts of BLUE are already being used by Belly clients like 7-Eleven and the food service company Compass Group (CPG), but few of Belly’s existing enterprise retail clients are likely to make the switch to BLUE on day one. Kiser says that existing clients will be given the opportunity to transition to BLUE in full at their own pace. In addition to working with retailers with large physical store footprints, Kiser is also hopeful that BLUE will be adopted by brands looking to reach consumers in those stores.